This episode of the Style Your Mind podcast called, Little Luxuries got me thinking about ways I pamper myself. 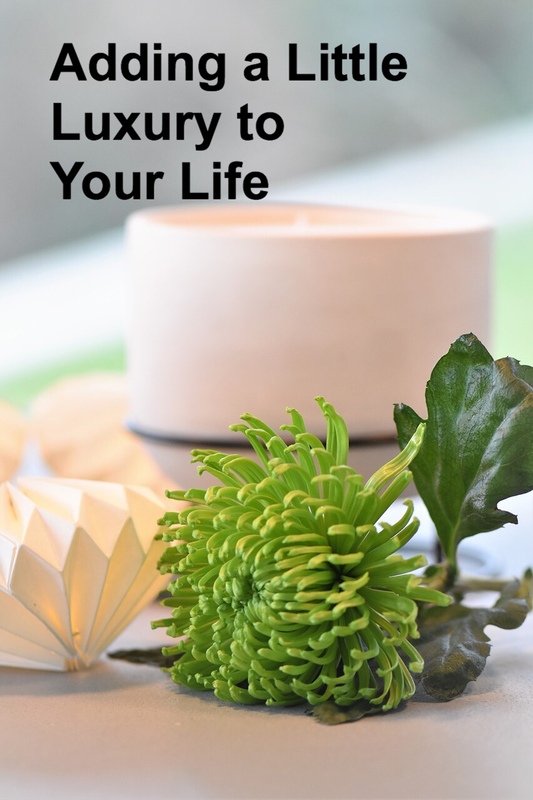 Some people think luxuries have to be super expensive, but there are some things you can do to pamper yourself that cost very little. 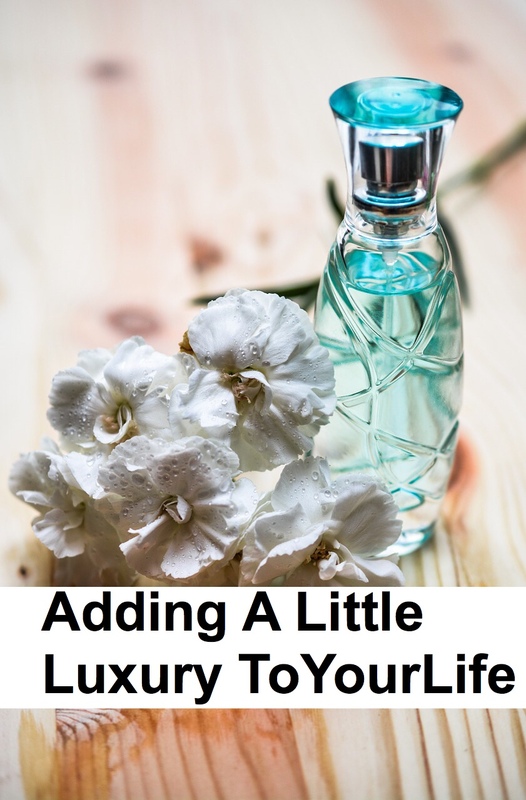 For some people, luxuries may be days at the spa, vacations or buying top of the line items. Those things may be great, but not everyone can do that all the time. To me, luxuries are those things you do for yourself that make you feel your best. They are the things that lift you up. These things or rituals don’t even have to take up a lot of time. One thing that makes me feel my best is spending time out in nature. When I start to feel down or if I start to get antsy, I find that taking a walk helps. I put Rosebud in the stroller and we go. usually we just walk around the neighborhood, but there are always new things for Rosebud to see and it gives me time to clear my head. 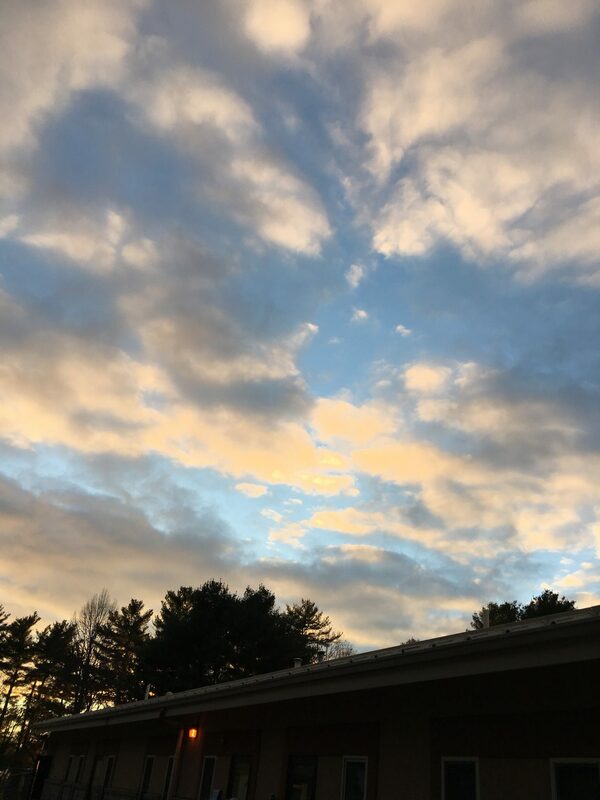 I can look at the sky and notice the clouds. I see the trees, a beautiful sunset or hear the different birds. Just being around the sights and sounds of nature is relaxing. During the spring and summer months, I’ll often go sit out in the back yard while Rosebud naps because it is so peaceful. I always enjoy being at the beach as well. It is my happy place even if I’m just sitting on the beach listening to the sound of the waves, looking at the sky and the ocean and feeling the sand under my feet. It’s amazing how it all comes together to make such a beautiful place. 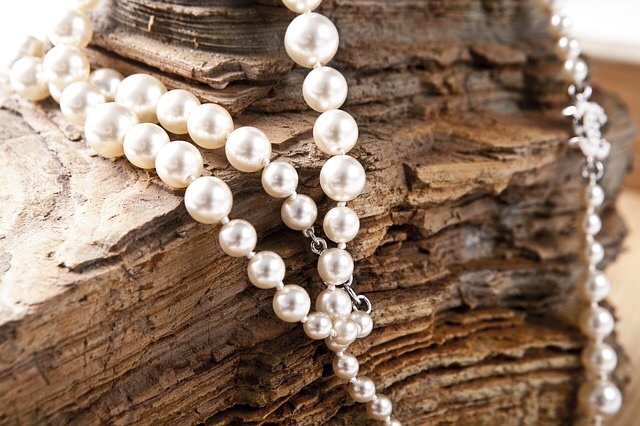 A little luxury could be something you use to enhance your space. I love anything that smells good and lately I’ve been melting wax instead of lighting candles. I’ve found some amazing scents and the shapes they come in are so cute and decorative that you don’t want to melt them. 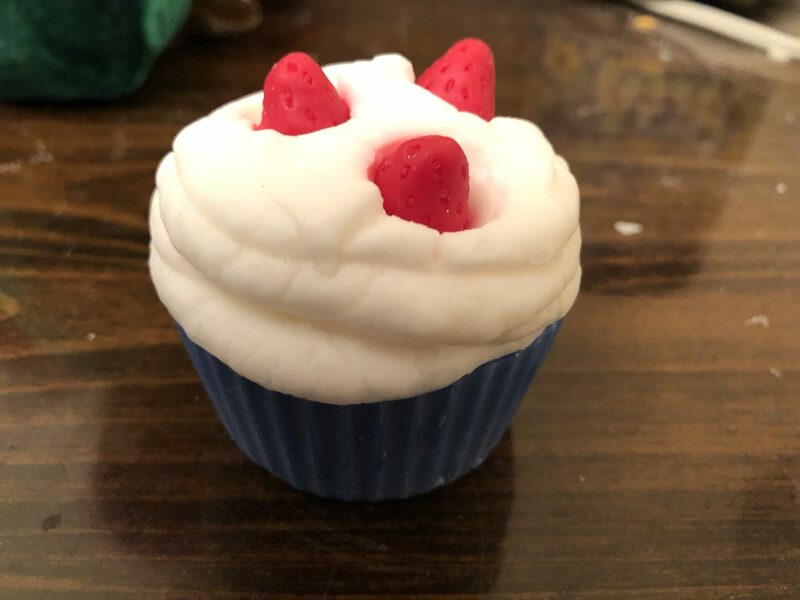 This strawberry scented cupcake looks good enough to eat, but I assure you, it’s wax. I will tell you all about this wax from Blended With Love in this review. It’s important that the space around me smells good so why not make it a little more luxurious than lighting a basic candle. Not that there’s anything wrong with candles. I have plenty of those too. If you want to give yourself the gift of fresh flowers, I’ve found this fresh flower subscription. Buy or make yourself a sweet treat. Most people I know are doing their best to eat healthy, myself included, but sometimes it’s okay to indulge. Why not stop at a local bakery and get a small treat? Why not try that recipe you’ve always wanted to try? Maybe you really enjoy a special blend of coffee. Maybe a salty snack is more your thing. Whatever it is, it’s okay to enjoy it guilt freefrom time to time. A couple weeks ago, I tried a chocolate covered macaron from a local bakery. It was delicious! Was it good for me? Of course not, but do I regret it? No. I was having a rough day and needed a treat. I love to bake and try new recipes. I often share what I make with friends and family and it makes me feel great when I’ve found a new recipe that’s a keeper. I’m also happy when I’ve tried a new healthy option or recipe. When you know healthy food is giving you energy, that feels great as well. After a long week if I really want to pamper myself, I take an epsom salt bath. I found this epsom salt on Amazon and it smells great. I used to have some special lotion that I’d save for pampering myself, but I’ve started using them more often. I found this shea body butter from Victoria’s Secret a couple of years ago. I’ve decided I don’t need to wait for special occasions to use the better lotion. Why not use it whenever I feel like it? One more thing that I considder a little luxury is putting on jewelry. Before I had Rosebud, I almost always put on jewelry, but after I became a mom, I felt tired, overwhelmed and would forget to put it on or run out of time in the mornings. I’d think of it as I was out the door and then decide I wouldn’t want to take the extra minute to find the jewelry I wanted to wear. I mention this because putting on a bracelet or a pair of earings makes me feel more put together. There is something about it that starts my day off better. If I’ve had the time to put on jewelry, it means I wasn’t rushing around so much. When I’m not rushed, I’m much calmer and happier. these are just a few things that make me feel my best and recharge me. The things that make you feel your best and recharge you might be totally different. What do you do for yourself that you considder a luxury? I’m right there with you. Luxury has definitely taken a back seat for me too. I suppose that’s why I posted this, to remind myself as well as other busy moms to stop and treat ourselves once in a while. Thanks for your comment. Yes! The saying “you can’t pour from an empty cup” is so true. As moms, it’s so important to take care of ourselves so we can take care of our kiddos. I really love the idea of wearing jewelry. It’s such a simple thing, but it helps us feel our best. Great tips for self-care! Thank you. Sometimes it’s the smallest things that can make a difference. The empty cup has become sort of a cliché, but it’s so true.